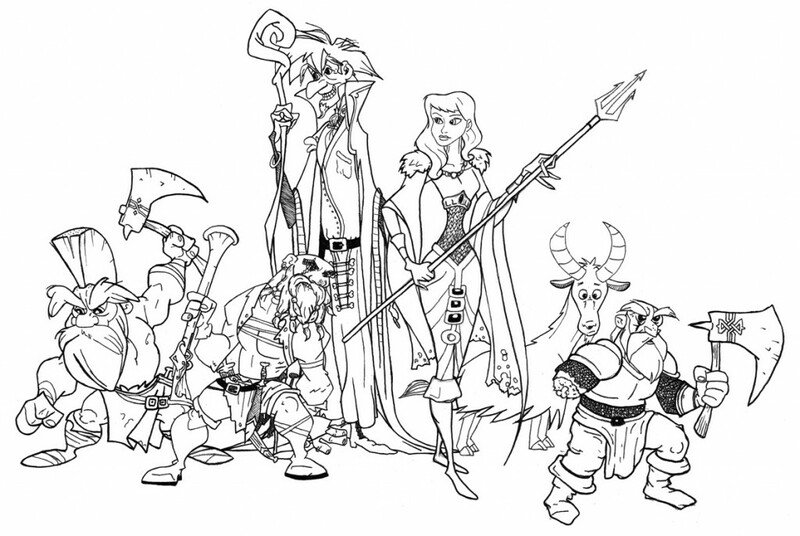 By Jesse “Gitzman” Burke: Starting from the left: Grom the slayer, Baerdin the hunter, Konrad the amathyst wizard, Helga the commoner, Rob the goat, and Thorin the warrior. Best part is Helga with her pitchfork of doom and Thorin the mangled. Nice work! I love the severed arm. Very cool! You are quite an artist! For my opinion the dwarfs are a little bit skinny for warhammer-dwarfs, but I think it is more part of your drawing style! Is the staff the wizard is holding his official Amber Guild corpse pokin’ stick?